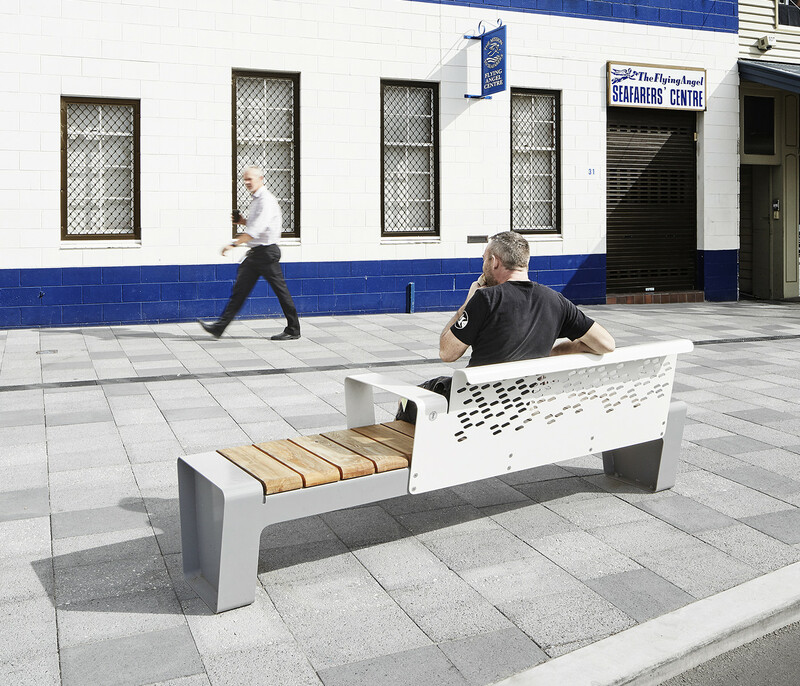 Street & Garden was engaged to design the original street furniture for Franklin Square in Hobart back in 1987. 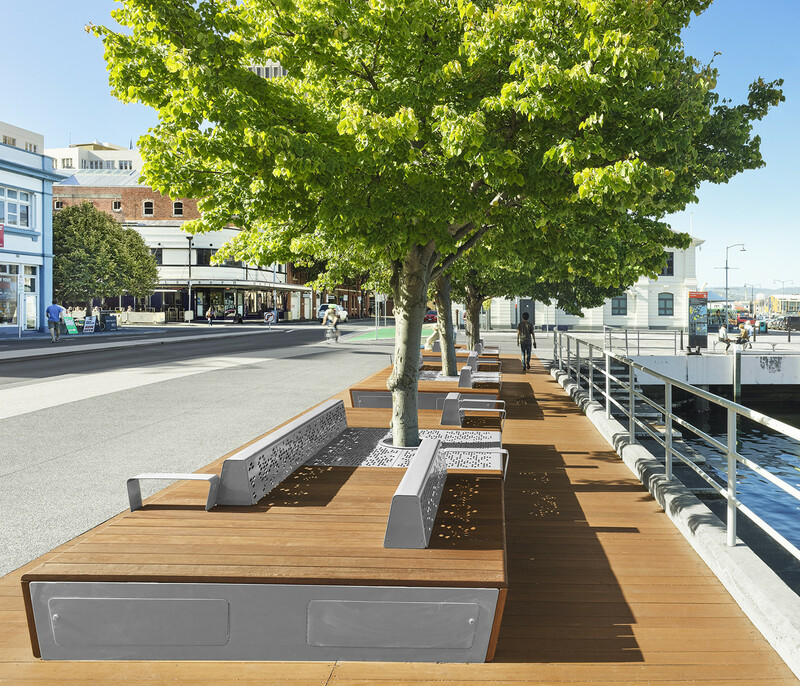 As part of recent a revitalisation project, Hobart City Council invited Street & Garden to once again be involved in the custom design for items for the space along with the adjacent Waterfront Precinct. 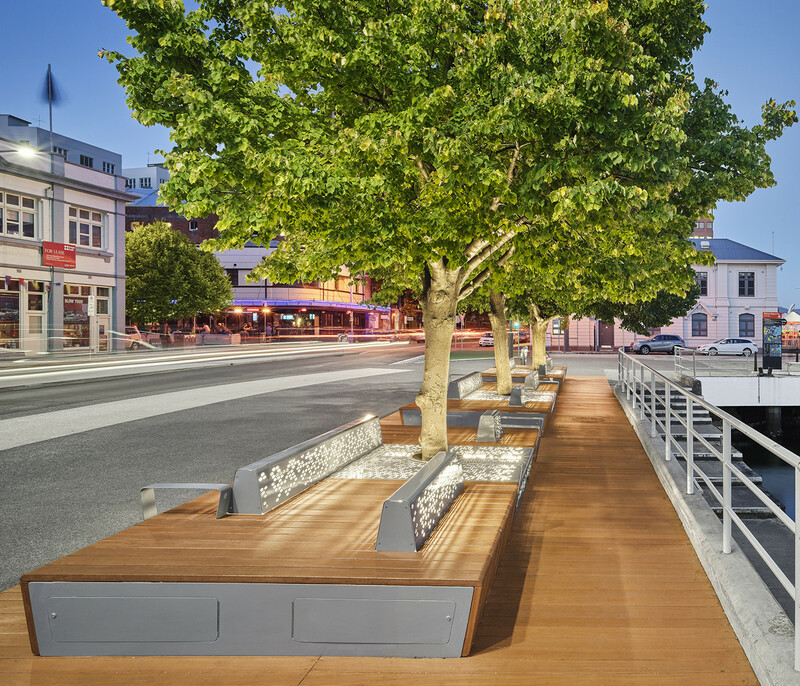 The scope for the Waterfront precinct entailed a series of furniture elements including bench seating, seating with concealed equipment storage and a number of large platform benches that were to be installed around established existing trees. 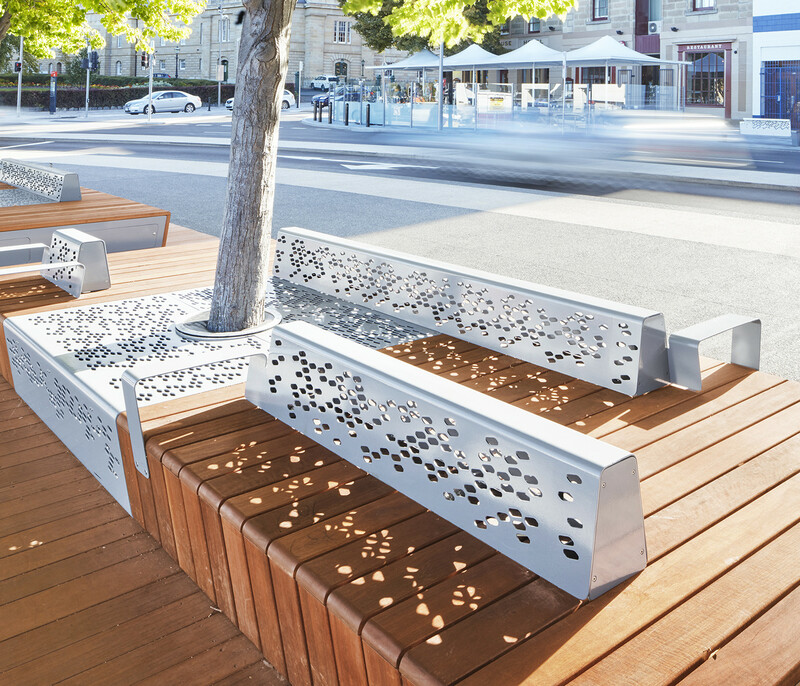 Given the busy pedestrian nature of the location as a tourist hub, Council requested a design that was a major feature and allowed for a number of seating opportunities. 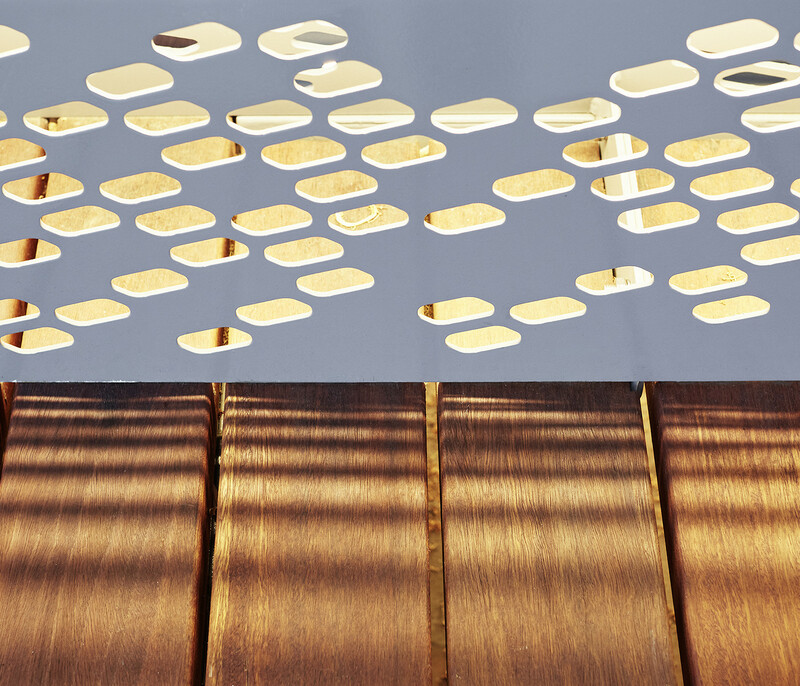 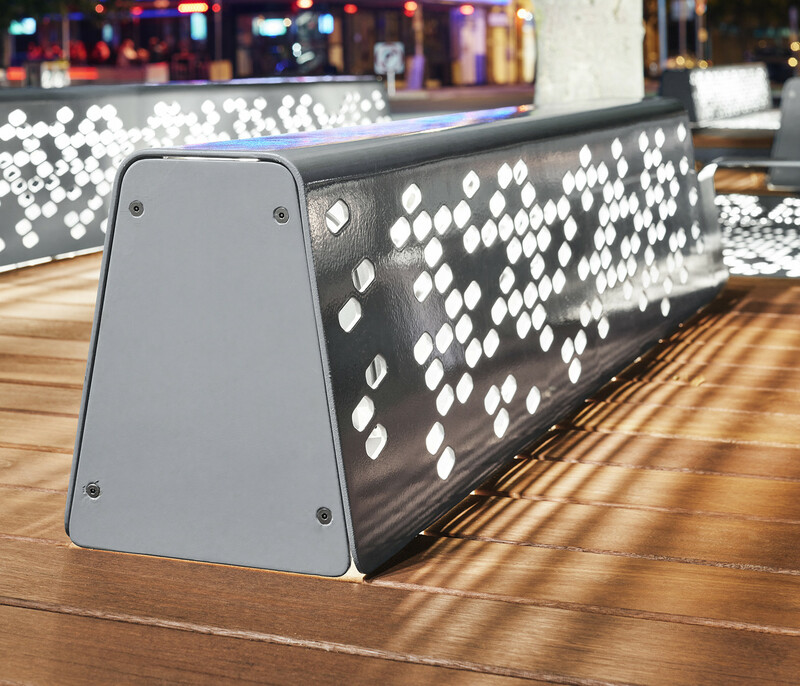 This was achieved through creating a variety of backrests with integrated lighting. 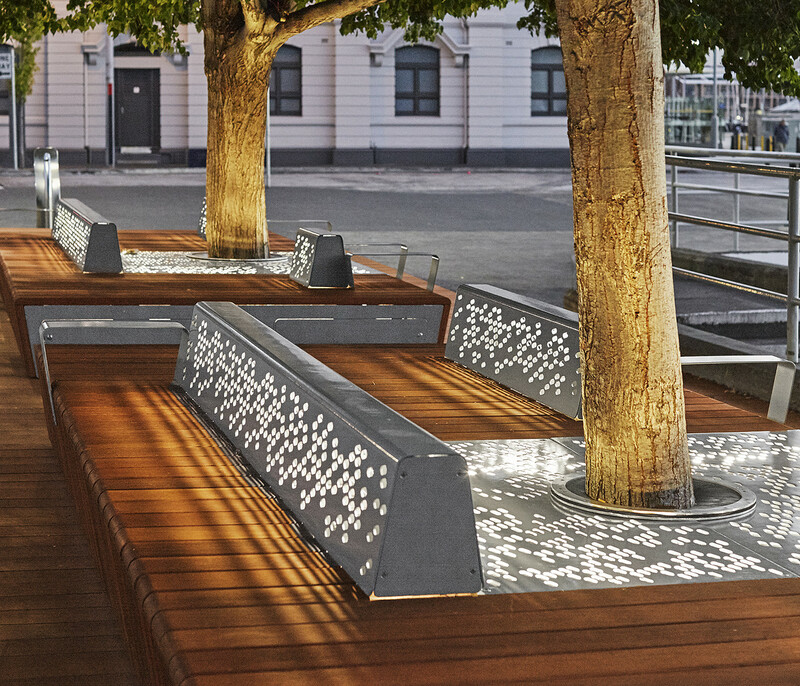 The customised pattern detail was directly inspired by the Fenestella Coral that is unique to the site. 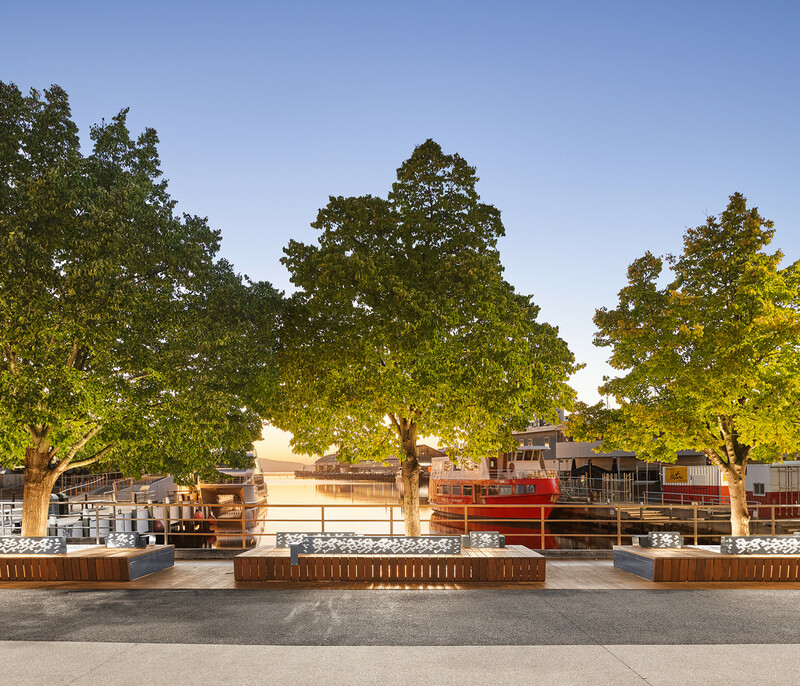 As all of the required components were manufactured interstate, freight and logistics were key considerations with Street & Garden working closely with local Tasmanian suppliers. 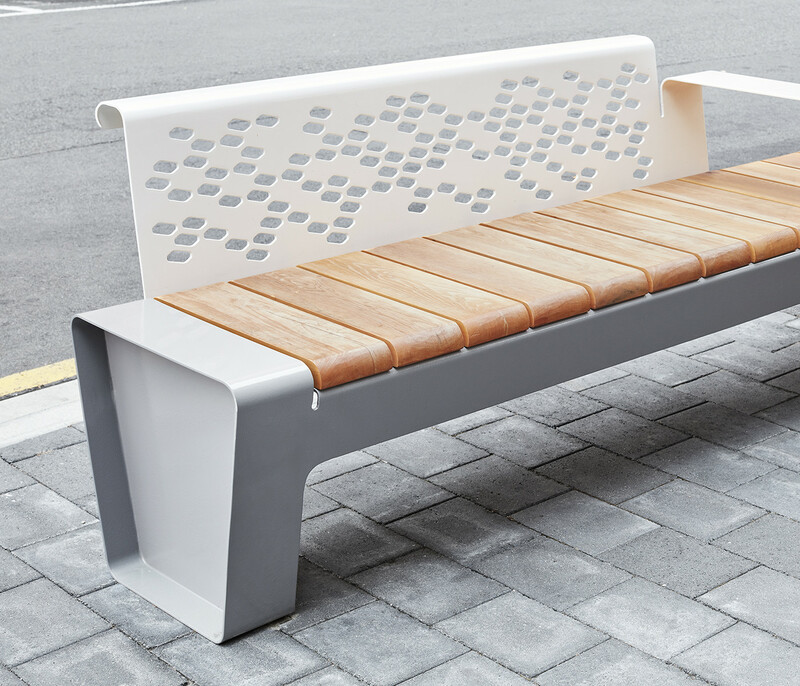 All elements were designed for efficient packing and assembly, with the design for the seating essentially becoming a modular system. 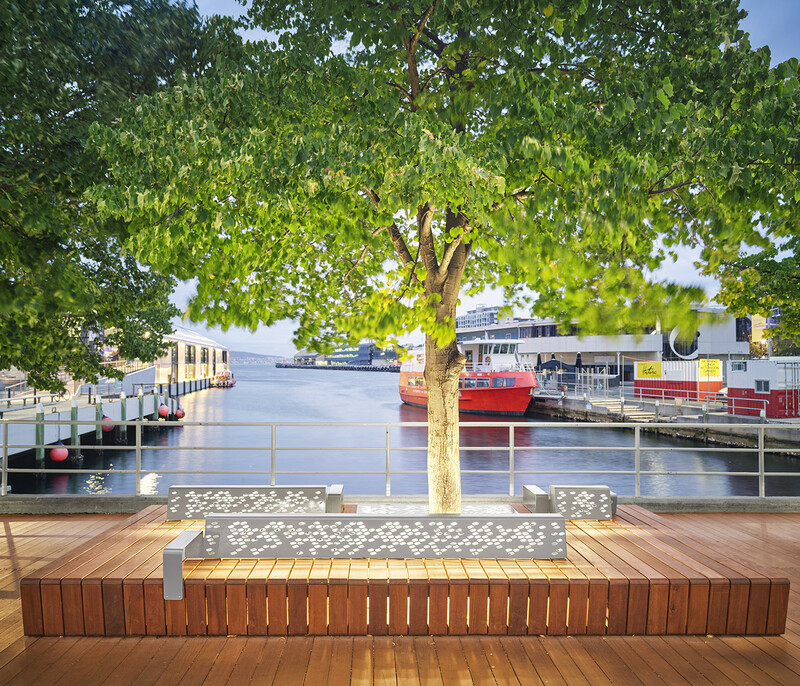 Establishing a relationship between the Waterfront and Franklin Square precincts, while also maintaining a unique solution for both, allowed the opportunity to view each site in a broader context. 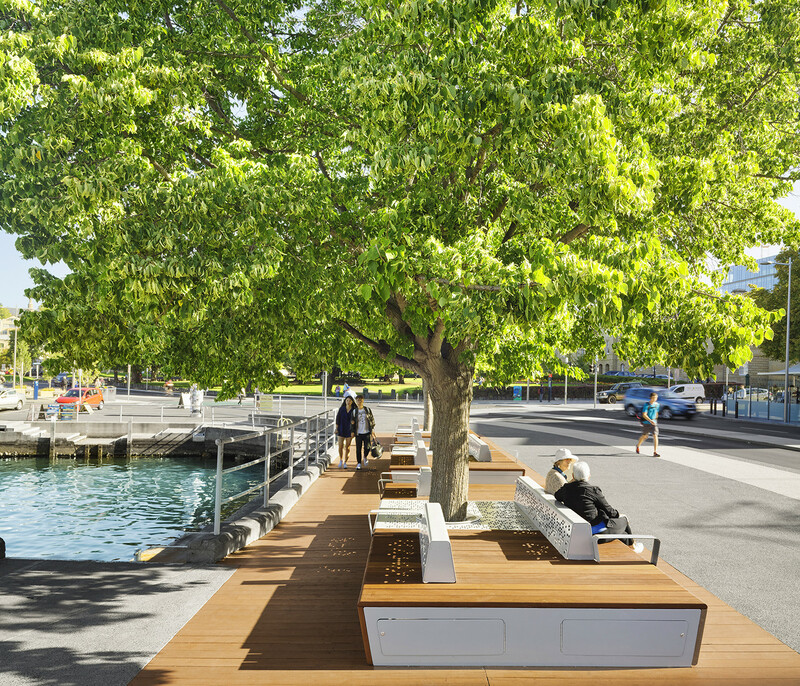 In terms of the specific scope for the Waterfront precinct, working with the existing established trees for the platform seating allowed the opportunity to create a feature furniture element that was integrated with the landscape and completely unique to that site.